Here you can find great answers for several garage door questions. People often wonder about garage door safety and the best way to repair parts. We collect their questions and answer the most frequent of them as simply as possible. Being simple yet offering solutions is the idea of our answers. Clear and concise answers to the most frequently asked questions about garage door repair and maintenance. What parts ensure my safety in the garage? The sensors; though, all parts play a significant role and their condition would affect the performance of the door, garage door opener sensors maintenance is considered a vital task because it can ensure that the door will not close down on you. You just need to make sure they are facing each other and they are properly connected with the opener. Why is the bottom seal so important? It's only a strip, but it can make the difference to your safety, security and the insulation of the entire property. When the bottom seal is worn intruders can easily use a tool to open the door, insects, animals and air drafts are entering from the small gap and you end up paying double amounts on electricity bills. If I keep my garage door well maintained, will it protect me from a tornado? No one can guarantee that your house will remain intact from the strike of a tornado because it has to do with its distance, force and speed. Though, you cannot make bets with nature, but solely ensure that you have done all you could do to protect your home and that is garage door repair of every part. If your door is old, you should replace it with a more durable one that could be more appropriate for hurricane prone areas. What material is best insulated? Wood is a natural material and can insulate well enough, but progress in the technology world have strengthened the properties of the other materials and Garage Door Repair Rowland Heights recommends aluminum garage doors. They come out as thick as you want and perfectly insulated. Are garage door windows a good idea? Garage door windows are a perfect idea! They will allow some sun into the garage and that will help you cut down on energy and create a much nicer environment in the garage. They will also look good from the street and so they will beautify your house and increase greatly its value. How can I make sure openers are safe? 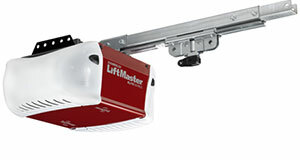 Your safety depends highly on the garage door opener sensors. So, you must check them often and test them weekly. When you buy new electric openers, make sure they have a label stating that the opener complies with the UL 325 safety requirements. Why tracks must be perfectly aligned? 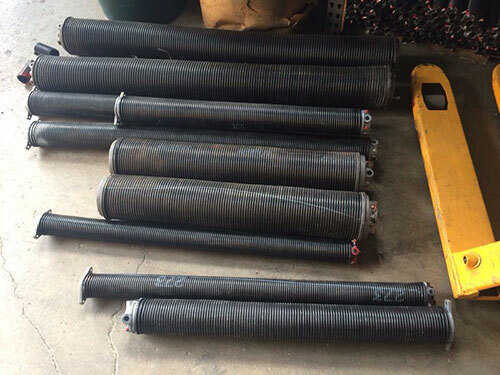 Think of garage door tracks as the guides of rollers. Don't forget that the wheels sit in the tracks in order to travel up and down while carrying the overhead door. If the tracks are not aligned right and placed in their exact position, the door will either bind or jam. Precision is of the essence, our technicians in Rowland explain, for your safety. Why is the motor not working at all? There are several possible causes for this problem. The first explanation is that the motor is not getting any power. This could be due to issues with the wiring or a faulty circuit board. The replacement of the problematic component should be sufficient for restoring the operation of the device. Another possibility is that the motor has failed. In this case, it has to be fixed or replaced.